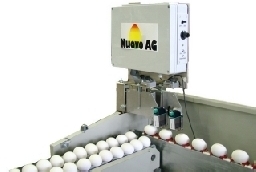 Egg marking devices to label on trays for 30 eggs and various kinds of small packages. The use of logos, automatic date and counting functions are standard on all units. 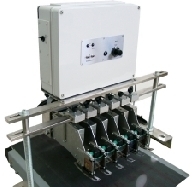 All units are equipped with 8 printing texts, which can be changed by the user via a PC or a laptop. 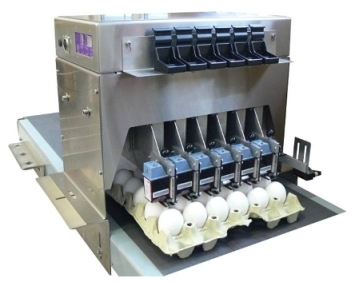 Egg marking devices to label the eggs on the weighing or the transport chain of all common sorting machines. Your competent egg marking specialist!